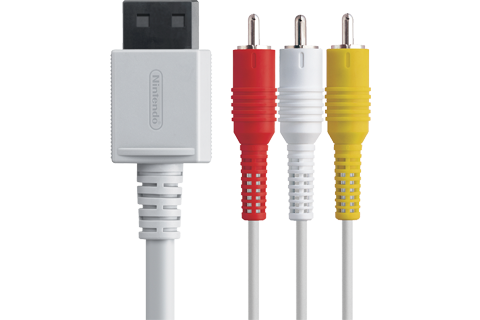 The Wii A/V Cable is used to connect the Wii U™, Wii mini™, and Wii console to any TV or VCR that has audio/video inputs. Most TVs and almost all VCRs have these inputs. Click here for more information on connecting your Wii to your television with Wii A/V Cables. The Wii™ A/V Cables are now available as Authentic Nintendo Refurbished products only from Nintendo, and they come with our standard 90 day limited warranty. Although they may have minor cosmetic blemishes, they are guaranteed to be fully functional. We think you will find the standards for Authentic Nintendo Refurbished Products are VERY high.